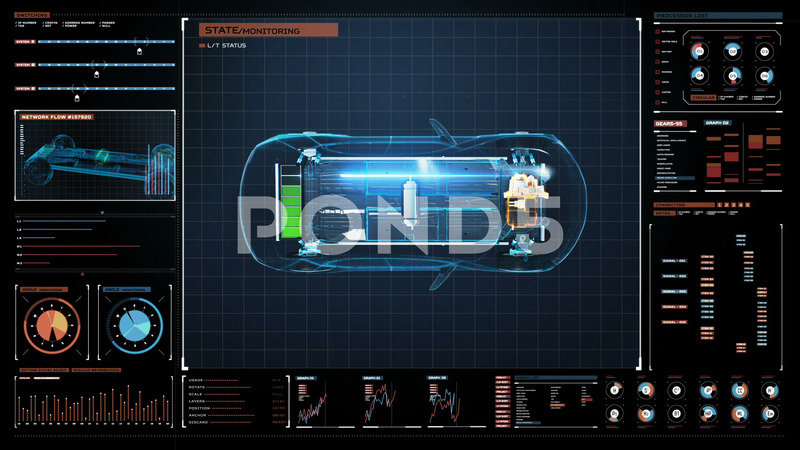 Charging Electronic, Hybrid Car In Futuristic Display Interface. Top View, 4K.2. Description: Charging Electronic, hybrid, lithium ion battery echo car in Digital futuristic display interface. top view, eco-friendly future car. 4k movie.2.